recommended for: Fans of The Assassin's Curse by Cassandra Rose Clarke, Firelight by Sophie Jordan, or Salt and Storm by Kendall Kulper. Lovers of folk lore and Eastern mythology. will i read this author again? : I already plan to. will i continue the series? : Probably, though I won't rush to. Forced to obey her master. Compelled to help her enemy. Determined to free herself. With old-world flair and a strong sense of the magical, Exquisite Captive sets itself apart from your average urban fantasy. The tale centers around Nalia, the feisty sole survivor of a powerful jinni race, now servant to a cruel and enigmatic Earth billionaire. 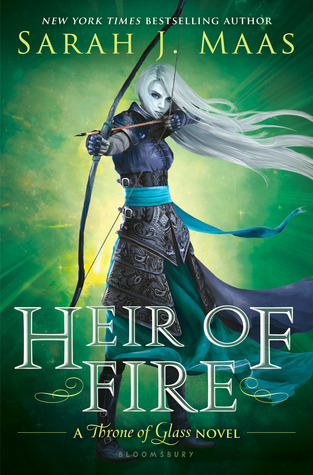 Nalia's quick temper and defiance in the face of pain are admirable, her wistfulness endearing. I found myself easily drawn into the story. Demetrios excels at breathing life into the jinni and their world; there was always, for me, an underlying heartbeat of magic and mystery, a sheen of wonder. Read a favorite old fairy tale and you'll approximate the emotion. Already captivated by the atmosphere, I found myself riveted by the layers of Demetrios' plot. She weaves the threads of Nalia's fight against the Dark Caravan and Malek with the constant danger of death by evil jinn. There's a thriller-like quality to it, a constant tension that makes the final twists especially jarring and satisfying. What detracted most, for me, was the romance. Captive is heavy on the insta-love--a disappointing and pervasive feature in an otherwise promising book. Demetrios has a knack for story telling. We meet Nalia after a coup in her homeland has already annihilated most of her people, after she has already spent years as a rich man's personal wish granter. In hiding from the new jinni regime, Nalia has largely resigned herself to manifesting selfish wishes for the highest bidders. Then she meets Raif, a rebel who loves neither Nalia's Ghan Aisouri nor the Ifrit regime that replaced it. A rebel who needs Nalia's help. This spark erupts into a delightfully twisted deception that threatens to crumble in on itself from all sides. If Malek discovers Nalia's plans to escape, she'll be trapped forever. If the Ifrit assassins reach her first, she'll be dead. I loved the cat-and-mouse game of it all, with Nalia executing a dangerous subterfuge with Malek, all the while in constant danger of detection from an outside evil. It was thrilling, fast-paced, and ultimately shocking. Then there was the romance. It appears like a little pest that keeps itching and won't go away. Worse, it could have been great, if Demetrios had toned down the Romeo and Juliet and just portrayed real human emotions. I felt disappointed. In a fantasy market saturated with European mythology (not that I don't love those, of course!) it's always refreshing to encounter a unique approach. While not explicitly Middle Eastern, Exquisite Captive draws heavily from the Arabic and Islamic tradition of jinn, or genies. Do a little googling and you'll find jinn, marid, ifrit, and shaitan in many a religious document or folk tale. Of course shaitan is the Islamic devil, which is a bit odd, but still, Demetrios clearly did some homework. From the foundation of Arabic lore, Demetrios builds the complex world of Arjinna, a world of lapis mountains and endless lakes. A world with its own language, religion, even its own mythology. A world with a caste system so insidious that it took a devastating coup to bring it down. Though I wish there was more here of the customs of Arjinna, the portrayal in Captive is artfully vibrant and refreshing. Though I liked many of the characters, there is a great deal of reliance on types here. Particularly as the plot unravels. Nalia is my favorite, perhaps because we can see into her head. She's fierce, pitiless, but also uncertain and self-reproaching. She holds all the prejudices of her race, but not all of their ruthlessness. And this pains her, because this sliver of compassion once proved fatal. I loved her fight and her coldness. The others are a little less complex. Raif is recognizably the brooding rebel, all duty and brashness. Charming, but not uncommon in the young adult world. Malek is fascinating as a cruel task master, but becomes a trope himself with his sudden, inexplicable love for Nalia. Zanari and Leilani feel somewhat similar to each other; I'd love to see them explored more in later books. What irked me most was the change in Nalia and Raif. Add a little insta-love and suddenly your characters are acting like soppy idiots who seem nothing like themselves. Some of Demetrios' writing has a truly painterly quality about it. Her passages describing scenery and surroundings are particularly lovely. I dog-earred many of them. She has a way of setting a scene that offers a clear picture but doesn't rely on clunky exposition or huge paragraphs. With a few unique details and clever phrases, she creates an exact image. Nalia's internal monologue is a little less pretty. For someone of her station, it just feels a little too much like any old Earthling. Perhaps it's an effect of her sojourn on Earth. Then there's the dialogue. Much of it's solid, some of it feels wooden. Insta-love. Need I go on? I don't have a problem with people becoming infatuated with each other over a mere number of days. It happens all the time. What irks me is when three days culminates in a profession of eternal love. When two people who hardly knew each other--despised each other, because of course they did--are suddenly willing to die for each other. This aspect was too pervasive not to detract from my reading, and it somewhat soured my opinions of the characters, who had been rather reasonable and admirable to that point. I felt like I didn't even know them anymore. And if they were the kind of people who conceivably fell in love this quickly, then I don't have much admiration left. 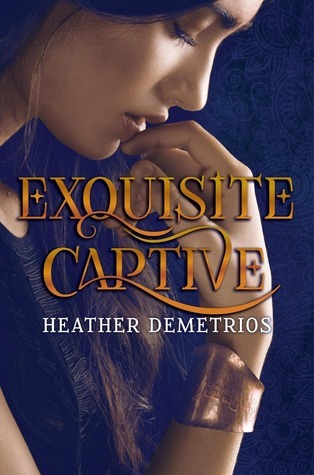 Despite the trope-heavy romance, Exquisite Captive weaves an atmospheric modern fairy tale rich with adventure, magic, and sharp story telling.